Collaboration is not just a “pie in the sky” for CEOs to discuss at all-hands meetings. There are demonstrable benefits for companies who make collaboration a tenet of their company culture. One recent study based on 1,100 companies found companies that promoted collaboration in their workflow were 5 times as likely to be high performing. Of course, while collaboration is a worthwhile goal for businesses of all shapes and sizes, what’s far more important is your execution. Simply forcing employees to work together on principle actually hinders productivity if the purpose is unclear. The first step to benefiting from a collaboration-first culture is considering your tools and processes. Are you equipped to support dynamic communication across departments and locations? Are your legacy tools holding employees back from reaching their full potential? Are important tasks and notifications slipping through the cracks due to lack of delegation? Here are a few guidelines for effectively boosting collaboration within your company. Did you know that email takes up nearly one-fourth (23 percent) of the average employee workday? We’ve all experienced the frustration of wading back through our inbox, searching for a specific message. Sometimes it’s even necessary to ask colleagues to resend certain high-importance correspondence. Whenever “Reply All” chains appear, there’s a possibility that the intended recipient will miss something important or forget to respond. Email may be necessary for baseline communications, but it’s a quick way to increase employee stress while bogging down productivity. A better approach is implementing a collaboration-friendly platform. You’ve likely heard of some of the major players like Slack and Trello already. These platforms prioritize user experience, allowing employees to exchange files, send messages and more in one centralized hub. These interfaces tend to be much more intuitive than most email programs, saving employees time and hassle. Still, any time you incorporate a new platform or tool into your workflow, it’s important to give users time to adjust. It’s also worthwhile to train people on the major functions so you can seamlessly transition when the time comes. Many projects or decisions hinge on the right people having the right data in hand. Embedded business analytics makes it simple to incorporate search-driven analytics, charts and dashboards directly into the workflow tools you already use. Suddenly, people inside and outside your organization can query data and share findings, reducing the likelihood of delays or miscommunication. Inserting analytics into the business applications your employees and partners already use makes it easier to focus on what really matters: monetizing company data. Having the right tools is key. But so is building a sustainable culture of collaboration from the top down and bottom up. Firstly, it’s important for leaders to put their money where their mouths are and integrate teamwork into their own practices. It’s also important to explicitly outline collaboration as a value, including tangible steps that will bring your organization closer to putting this principle into practice. It’s important to build a realistic framework for collaboration. Team-building exercises built on hypothetical may be useful for bonding, but they don’t demonstrate how collaboration will look in action. The best tactic is to ask real teams to solve real work-related issues. 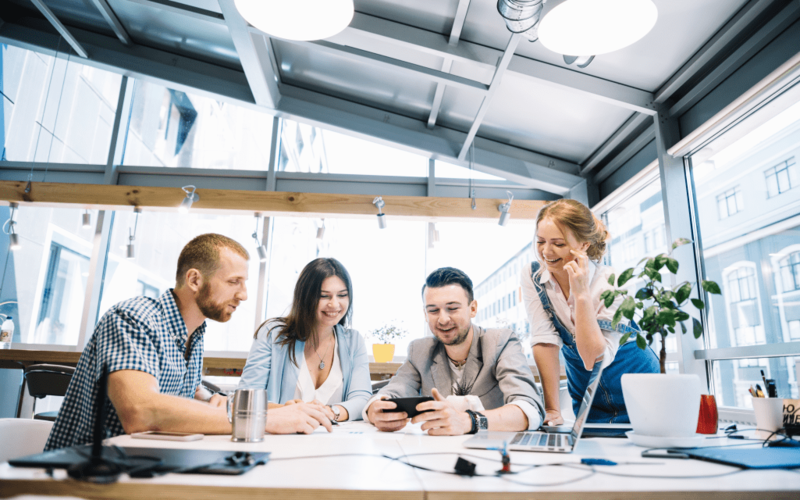 As they say, “The best way to learn is to do.” Empowering employees to get real practice under their belts will help them solve increasingly complex and pressing issues over time, finding their groove as a team rather than a collection of individuals. Boosting collaboration within your company can have tangible payoffs, like increased revenue and happier employees. Just make sure you have the infrastructure in place before making the leap.